Carleton mathematics and statistics students are actively involved in the Carleton and Northfield communities. These activities might arise through senior comps, summer research or a mathematics or statistics course. Students interested in mathematics education have the opportunity to engage with schools and community organizations in the Northfield area. Carleton students have been involved writing a large collection of lesson plans for teachers, parents, or volunteers to use to provide enrichment activities for elementary students interested in mathematics. Carleton students have created short projects for middle- or high-school students to use on their own for mathematical explorations. Carleton students designed a collection of worksheets and related videos to help adult learners studying for the math portion of the GED exam. Carleton students created a workbook to teach algebra based on the technique of bar modeling. For a senior comps project, statistics students designed a study, then collected and analyzed data on the effect of spinning machine speed on yarn. 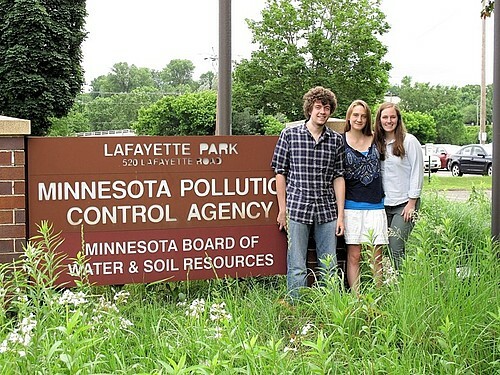 Students have collaborated with the Minnesota Pollution Control Agency on comps projects and in conjunction with statistical consulting.